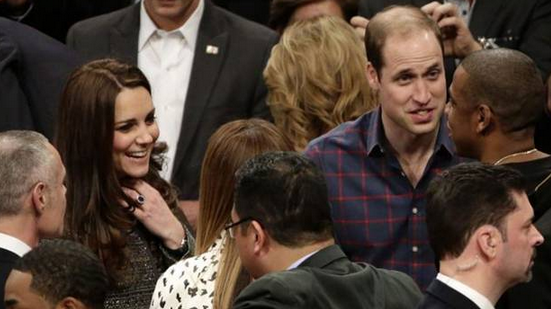 THE Duke and Duchess of Cambridge chatted to Beyoncé and Jay Z at a basketball game in New York last night as a 300-strong crowd demonstrated outside. The protest at the Barclays Centre in Brooklyn was one of many across the US on Monday night against the deaths of Eric Garner and Michael Brown - two unarmed black men allegedly killed during confrontations with police. Police officers involved in both cases have escaped prosecution after separate grand juries ruled not to indict them, igniting continuing waves of protests. The demonstration at last night's game was noisy but peaceful, as people shouted slogans against police brutality and institutional racism before staging a "die in" on the pavement around the basketball arena. A large police presence watched them warily but did not move to stop the protest, which was supported by star basketball players. Inside the Barclays Centre arena, Cleveland Cavaliers star player Lebron James wore a T-shirt bearing the slogan "I can't breathe" as he warmed up. The phrase, believed to be Mr Garner's last words, has become a rallying cry for protesters. The 43-year-old died shortly after being restrained in an apparent "chokehold" by a white police officer in July. A video of the incident in New York showed Mr Garner shouting "I can't breathe" repeatedly as he was held to the ground. The decision not to prosecute the officer involved came little more than a week after a Missouri grand jury cleared another officer in the shooting of 18-year-old Michael Brown in Ferguson. Beyoncé showed her support for the teenager's family after the verdict, sharing their statement to her millions of Instagram followers urging "positive change" to the system that has seen the deaths of numerous unarmed black men at the hands of white police officers in the US this year alone. 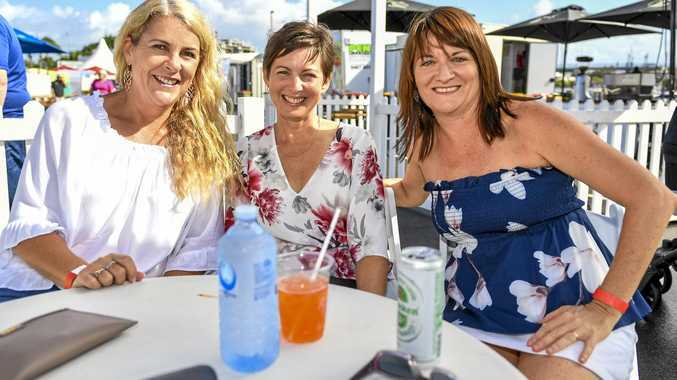 But it was unlikely to be a topic of polite conversation between the singer, her husband and the royal couple, who were seen having a brief chat during a break in the game. The two couples sat opposite each other in courtside seats usually given to celebrity supporters, before Jay Z and Beyoncé crossed the court to meet the royals as the crowd roared. The Brooklyn Nets, supported by the celebrity couple, lost 110 - 88 but two couples were all smiles before the final quarter of the contest. Twitter could not decide who was more regal. One user quipped that it was the "first time Kate Middleton met the Queen". It is the Duke and Duchess of Cambridge's first visit to New York as a couple and earlier in the day they had sat down for dinner with President Barack Obama at the White House. Prince William is using the trip to gather support for his drive to stop the trade in ivory, wildlife and illegal animal products, which he called "one of the most insidious forms of corruption and criminality".